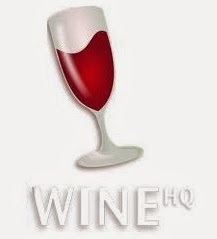 How To : Install Wine 1.6.1 Stable in Ubuntu/Linux Mint ~ Your Own Linux..! Wine ("WINdows Emulator", aka "Wine Is Not an Emulator") and it is the Free and Open source utility that is used to run applications designed for Windows OS on Linux/Unix platform. Wine comes with a software library Winelib that lets the coders to compile Windows applications on Linux/Unix platform. Wine has now reached it's latest stable version- Wine 1.6.1 and this article will guide you to install Wine 1.6.1 stable release on your Ubuntu and Linux Mint systems. Neverwinter Nights 2 can't detect video adapter properly, claiming: "Your video card has less than 128 MB of video memory"
Excel Workbook with Macros Is not Running : Getting Crashed. Wine now comes in a PPA package? Though it was still part of the ubuntu repository.